With the level of hunger and famine ravishing some parts of the world, it is unconscionable to waste food. There is concerted effort all over the world among stakeholders in the food industry to cut food wastage drastically through innovations. High-level collaborations among farmers, cooks, entrepreneurs and innovators have resulted in technologies targeted at solving different issues in the food management system. Here are some of the leading food tech innovations that aim to change the way people interact with food. These innovations are meant to help people reduce food waste and save money in the process. Bluapple is a new product which allows consumers to store fresh produce for longer by absorbing ethylene gas in the refrigerator. Ethylene gas is the hormone that ripens fruits. By controlling the oxidative effect of ethylene, Bluapple can effectively extend the shelf life by as much as three times. BluWrap is a brand-new food tech which uses fuel cells to monitor and reduce oxygen levels in shipping containers used to transport fresh meat and fish. 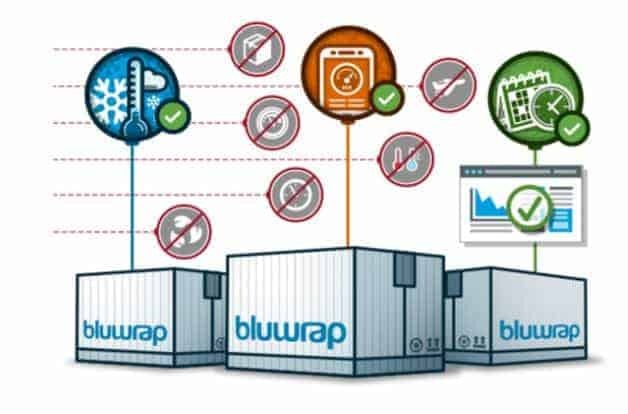 BluWrap features inbuilt sensors that keep the atmosphere of the shipping cabin consistent, effectively extending the shelf life of the food and making it possible to transport them to new markets. Copia is a food tracking software that helps redistribute surplus food to feed the needy. 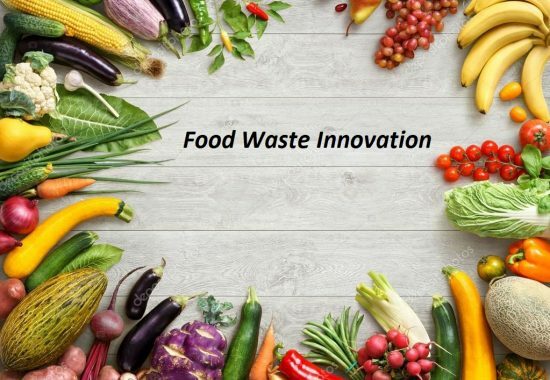 The company has a large food waste reduction mechanism which it uses to connect businesses that have food surpluses with nonprofit organizations such as local shelters and after-school programs. Copia collects food from businesses for a fee based on the volume of the food and delivers it to organizations that need the food. Copia also has an analytic software that businesses can use to monitor their surplus food to cut costs and food waste. Edipeel is an invisible, edible, and tasteless natural postharvest protection innovation created by Apeel Sciences as protection for food surfaces. Edipeel acts as a barrier between the surface of produce, protecting it from oxidation, transpiration, and microbial infestation, effectively extending the shelf life of produce and reducing post-harvest spoilage. The Super Bag is an innovation that increases the shelf life and germination life of stored grains and seeds through hermetic storage. When the bag is sealed, it reduces the oxygen levels to 5 percent, which helps to reduce the number of live insects without applying any insecticides. The bag also helps to maintain consistent grain moisture within the bag and increases germination life of stored seeds to 12 months. There are different types of smart packaging options. VTT Technical Research Center developed wireless sensors that detect ethanol in the headspace of food packaging, then transmits live data about the quality and freshness of the food to retailers and customers via radio frequency identification tech. The technology can help monitor food quality across a distribution chain and also improve shelf-life, bringing down the amount of wasted food in the process of transportation and retail. Gebni is an app delivery service that uses an algorithm to reduce food waste. Gebni’s algorithm adjust food prices relative to the demand in real-time. The app lowers food prices during off-peak periods, increasing the number of people that will buy the groceries instead of the store throwing the produce away. It also ensures that more low-income buyers have access to groceries supplies. All over the world, there are serious debates about world hunger and how humanity has failed itself. While one side of the world is ravaging in extreme hunger, the other side is wasting food at an alarming rate. Over 40% of the food produced in the world goes to waste or is lost. People have come up with ways to help reduce food waste, but what about meditation? What can meditation teach us about the way we waste food and how can we tap into the realm of concentration and use it to save the world from hunger? One of the main benefits of meditation is to increase concentration. People who meditate regularly develop a sense of direction and remembers things often. When they set their mind to something, they tend to achieve it without losing their attention. Better concentration means you will pay more attention to how food is bought and consumed in the household. It will also help you monitor food that is about to expire so you can quickly find ways to send it away to people who will consume it. Putting yourself in constant state of meditation can help increase your positive feeling. The meditation known as Metta is a type of meditation that is known as loving-kindness. Through regular practice, you’ll be able to extend this kindness to forgiveness and care for other people. Those who care about other people would be less greedy and find ways to provide for other people. 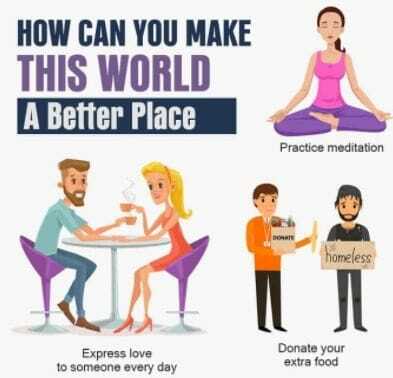 Meditation of kindness and love can help you attain a high level of personal responsibility that will push you to give away food before they get damaged, thereby reducing food wastage. Regular meditation also improves your self-awareness. 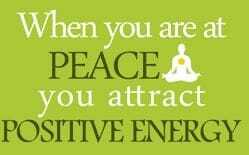 You’re more comfortable in your body and have positive vibes about life. You also live a responsible lifestyle that helps you achieve your goals and stay focus on your plans. Self-awareness also enables you to reduce food wastage by encouraging you to embrace anything that will help you manage your resources including buying only the food you need. This way you will reduce wastage and feel less need to eat more. You’ll also not gain unnecessary weight. Most of the people who have issues with food addiction and cravings also waste food a lot. They have no specific food measurement they need to stick to, or any meal plans, and would always want to eat more than they should. 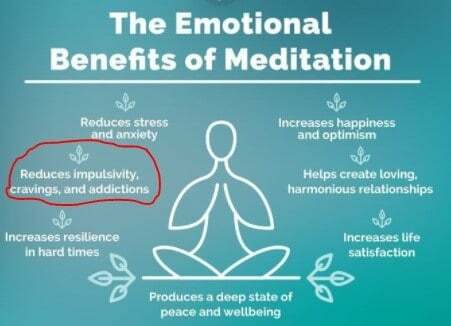 Meditation helps to control cravings, increase self-awareness and helps you quickly identify triggers for any form of addictive behavior. Once you can fight addiction, your body will learn how to redirect your mind to something else other than food, so you can successfully reduce your desire to consume and waste food. 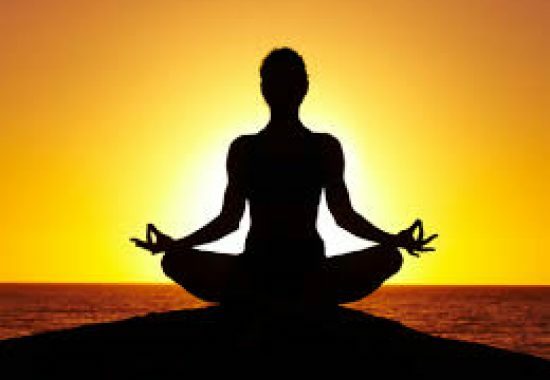 Practicing meditation is known to help improve your wellbeing, emotional state and physical state. It can improve your self-awareness, reduce stress and concentration, fight addiction, and get rid of unnecessary food wastage. You will become more responsible for your actions and the world will be a better place to live. Why food recovery awareness is important for kids? Food recovery is the practice of preventing surplus foodstuffs from being dumped in the trash. It provides a variety of social, economic, and environmental benefits. The highest and best type of food recovery involves collecting wholesome but unused or unsalable food for distribution to those in need. Additional food recovery efforts aim to reduce waste further and decrease resource burden by converting excess food for use in animal feed, composting, and biofuel production. Engaging in food recovery is a straightforward and uplifting way to respond to a variety of challenging problems. Food recovery is the opposite of food wastage. Food waste has many economic and environmental impacts. With many people experiencing food insecurity, this waste can be reduced when surplus food is donated to those in need rather than thrown to rot in landfills. There are many ways to help this problem, and it’s a matter of effort and learning to fix it. More than 20% of the fruits and vegetables grown in America never make it off the farm because they aren’t perfect enough or ‘wonky’ for grocery store standards. This results in billions of pounds of wasted produce every year. However, these produce are just as nutritious and delicious but looks a little different. With so many delicious fruits and vegetables going to waste, something had to be done. By eating the so-called ‘wonky’ foods, you’re helping build a more sustainable and effective food system. You’re helping fight food waste. You’re ensuring farmers are rewarded for their full harvest with a less wasted land, fossil fuels, and water. You’re improving access to healthy food. You’re creating fulfilling careers for employees. With every bite into a misshapen apple or crooked carrot, you’re helping shape our world for the better. Field Gleaning: The collection of crops from farmers’ fields that have already been mechanically harvested or on fields where it is not economically profitable to harvest. Perishable Food Rescue or Salvage: The collection of perishable produce from wholesale and retail sources. Food Rescue: The selection of prepared foods from the food service industry. Nonperishable Food Collection: The collection of processed foods with long shelf lives. Why we should educate our kids on food recovery? Apart from disposing foods which are regarded as ‘wonky’ from farms, it is, however, important to let your kids be aware of the consequences of wasting food and the advantages of preventing food wastage. Our kids tend to waste food when they notice food surplus in the house or perhaps when they are being overfed. Strict decisions should make to restrict our kids from wasting foods. Now, we’re not saying to let your kids go hungry. But let’s face it, sometimes they want things from the supermarket or at a food establishment that they don’t need but just want to eat. Kids may have a hard time understanding what it takes to earn and pay for food, which can result in taking it for granted. Setting up rules where kids need to use their allowance or job earnings to pay for meals can help them realize the cost of wasting something so essential. There are several people on the streets of big towns and cities who don’t have the opportunity to obtain three square meals. Donating the food remnants or leftovers to these poor people will be highly appreciable. Particularly in the situation where kids come from a less privileged home where the parents earn little, it is, however, essential to caution the way in which they waste food. If they are too young to serve themselves, serve young children small portions of food at meal and snack time. They have little tummies, and if you heap too much onto their plates, some of it is likely to go to waste. Allow older children to serve themselves. Encourage them to take small portions then go back for more if they’re still hungry. Kids will learn how to gauge their appetites and are less likely to have plate waste because they decided themselves how much to serve up. 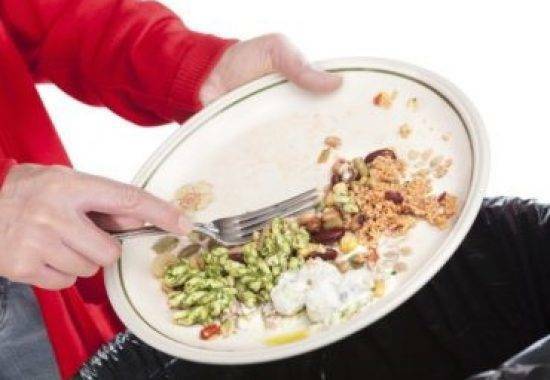 If your child declares they are full before finishing a reasonable amount of their meal, save the leftovers. “Instead of having them snack on something less than wholesome an hour or two later, they can finish their meal, reducing waste and increasing the likelihood of a well-rounded diet. 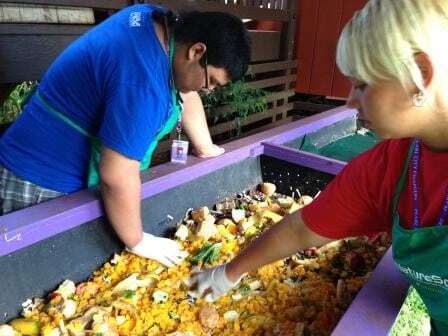 Rather than encouraging disposing foods in trash cans, you could pick up a responsibility of distributing the excess foods to the less privileged and help the needy. Outside2Inside is a non-profit organization based in Bay area, focused on reducing food waste through prevention, recovery and recycle though various creative programs. Our mission is to reduce food waste by bringing awareness about food waste among community and kids, recover wonky produce, and recycle food waste through organic composting and animal feed.